Peak produce season is just beginning, but salad limited-time offers are quickly popping up on menus as operators make the most of summer’s first vegetable and fruit crops. Entree salads are especially popular, meeting the increased demand for fresh, lighter healthy fare in the warmer summer months. Here’s how six chains are freshening up their menus with new seasonal salads and signature dressings. Typically a destination for Chicago-style hot dogs and Italian beef sandwiches, Portillo’s launched two seasonal salads just before Memorial Day. 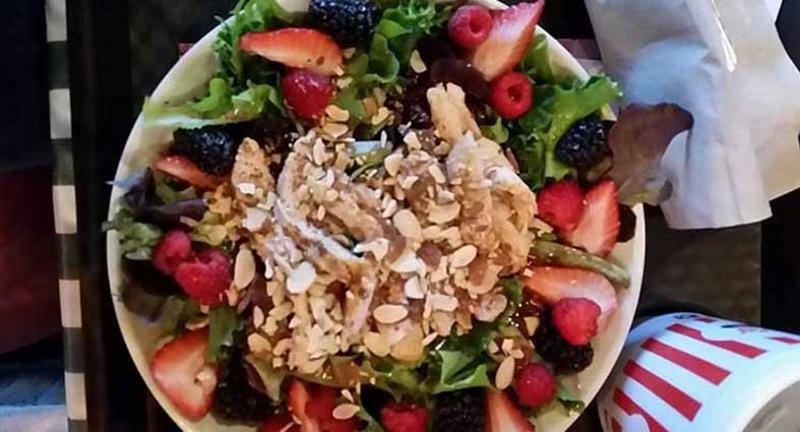 The Fresh Berry & Toasted Almond Salad features strawberries, raspberries and blackberries tossed together with Tuscan spring mix, romaine lettuce, toasted almonds, grilled chicken and a raspberry vinaigrette. The Chicken Caprese Salad also has a base of greens and chicken but is highlighted by pesto-marinated mozzarella, tomatoes and balsamic vinaigrette. 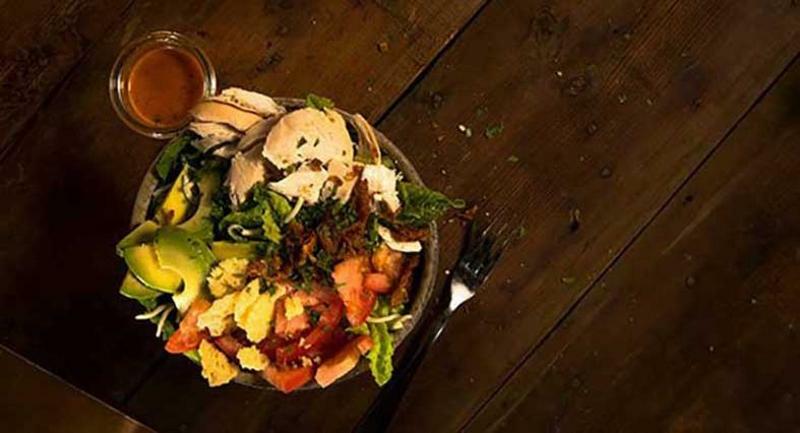 Sixty-seven percent of consumers would consider ordering grilled chicken as a salad protein, according to Technomic’s most recent Soup & Salad Consumer Trend Report. At salad chain Salata, fresh mint is joining the lineup as the Topping of the Month for June. Although most guests build their own customized salads at Salata, the fast casual recommends combinations for indecisive guests faced with new ingredients. 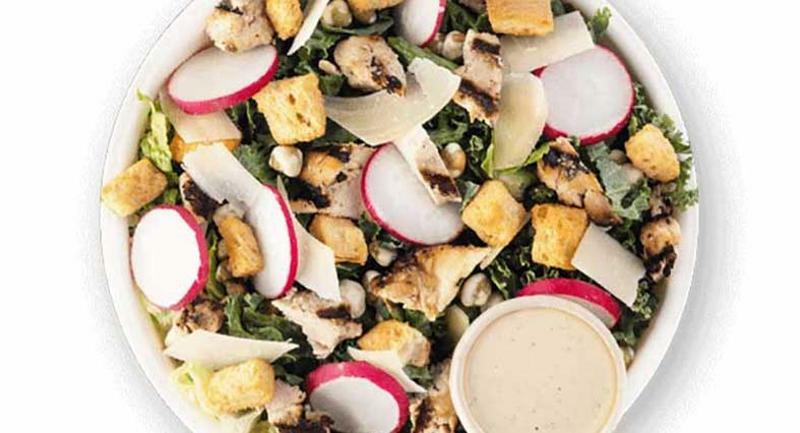 This month’s suggestions include a spinach and kale mix with radish, cucumber, chickpeas, carrots, corn, mint and grilled chicken with herb vinaigrette; and mixed greens, tomatoes, red onion, mint, blue cheese, quinoa, olive oil, walnuts and croutons. 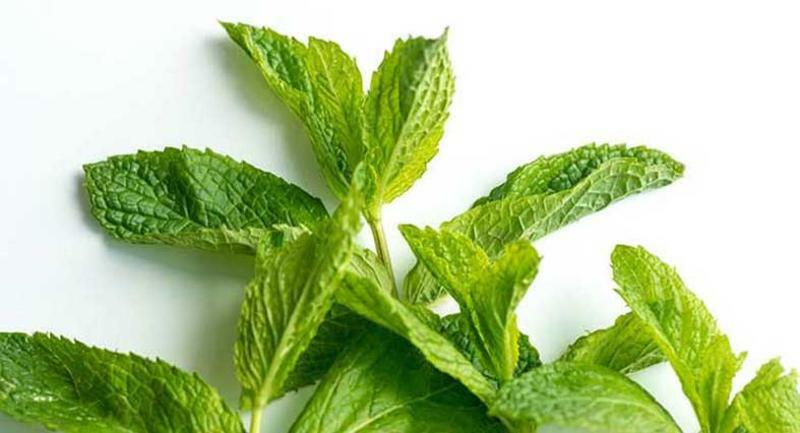 In-store messaging communicates the health benefits and flavor notes of fresh mint. 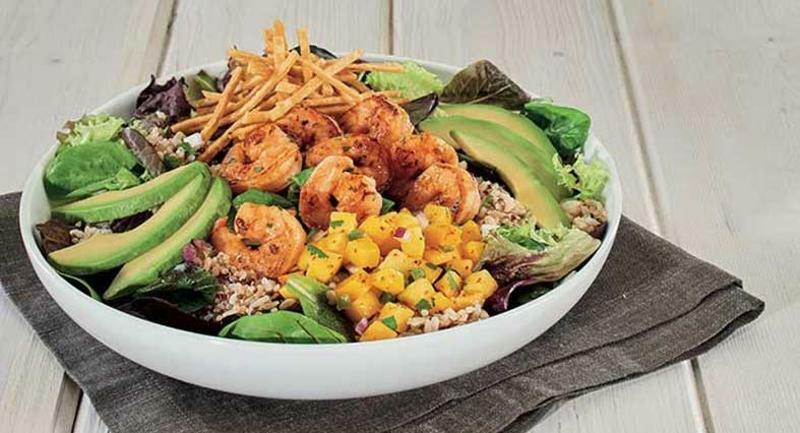 Rubio’s Coastal Grill developed a summer salad to showcase its new brown rice-quinoa blend, which is now a side option and rice substitution in the chain’s burritos. The Mango Avocado Salad has a base of fresh baby greens topped with a citrus-mango salsa, the new grain blend, avocados, crispy tortilla strips, cilantro and onion. 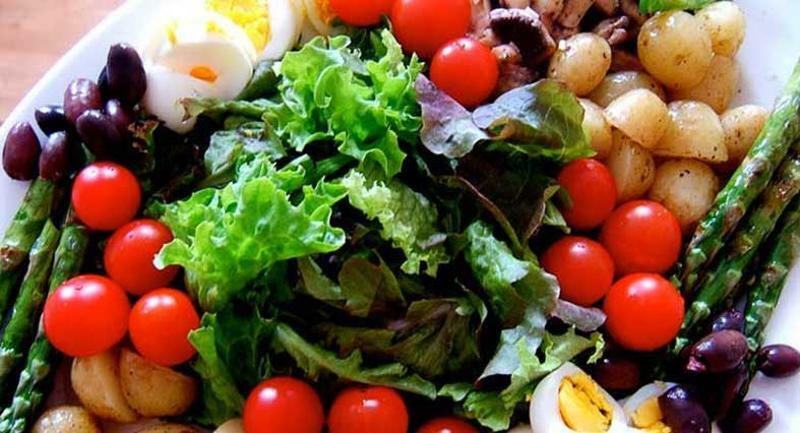 A drizzle of lemon-agave vinaigrette completes the salad. Build-your-own salad concept Just Salad debuted two limited-time salad bowls that embrace seasonal and flavor trends. The Wasabi Caesar Salad takes on an Asian accent; wasabi peas pair with grilled chicken, romaine lettuce, kale, radishes, Parmesan cheese and croutons with a side of wasabi Caesar dressing. Just Salad’s Spring Classic Crunch Salad features a bounty of early summer produce: spinach, radishes, snap peas, tomatoes, avocado and Parmesan cheese, served with lemon-basil vinaigrette. Cowboy Chicken doesn’t sound like a salad-centric concept, but its Monterey Salad LTO had a fan following when it launched last year, said Sean Kennedy, president and CEO; so the wood-fired rotisserie chicken chain returned it as a permanent menu item this May. Although it’s billed as a “summery sensation that’s both light and satisfying,” the Monterey is a hearty mix of avocado, tomato and cilantro, topped with wood-fired rotisserie chicken and Monterey Jack cheese. For a funky twist, crispy bits of seasoned chicken skin and toasted cheese crisps stand in for the usual croutons. A Berry Pecan Salad is making an appearance at Corner Bakery Cafe as part of summer’s Fresh Flavors menu. 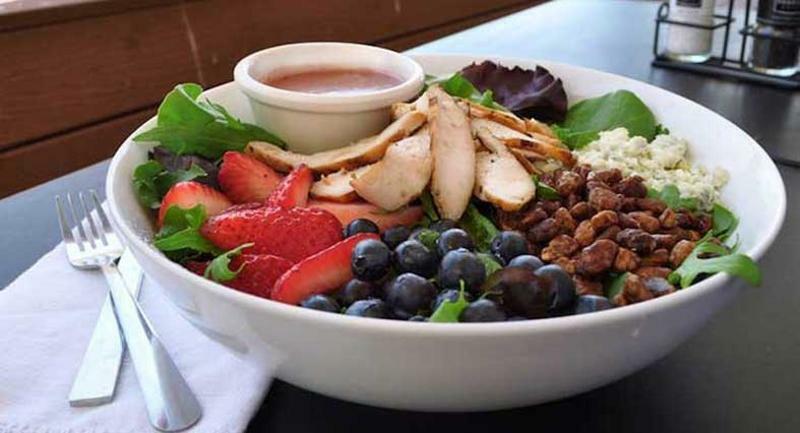 The ingredients evoke Fourth of July colors: Grilled white-meat chicken, strawberries, blueberries and blue cheese are garnished with candied pecans on a bed of greens. A strawberry vinaigrette provides a fruity finish.